In 2009, I volunteered to research the beginning and the formative years of the Retired Teachers in the Nipissing area. Searching out and talking with a dozen or so men and women who were there in the beginning, took longer than expected. The beginning was 1985. As I read the minutes and talked to people it soon became apparent that the driving force behind the organization was Mary Saad. I concluded that it was only right that the first article should attempt to highlight Mary’s devotion and hard work in guiding this organization through the formative years. Mary retired on June 16th1980. The first meeting of the organizing group was held on May 28, 1985. The first recorded involvement of Mary was a recommendation that a Johnson Insurance representative conduct an information seminar at the next meeting. The next report she presented was that of the Provincial Senate in November, 1985. Now she was not the President of the local organization, but she was on the executive. It is presumed that she was President of District 6 of the Superannuated Teachers of Ontario. As President she would be representing Nipissing, Parry Sound and Muskoka Districts. She was doing three jobs at one time; on the executive of the local unorganized group, President of District 6, and Senator at the Provincial meetings. She would soon add to those duties. The local group of unorganized retirees sought out information pertaining to the formation of “Units” of STO (Superannuated Teachers of Ontario). As a “Unit” they became part of a district that spread from Nipissing south to Muskoka and west to Parry Sound. As a Unit of District 6 they received grants from the Provincial Organization. As the Nipissing Unit was formed, responsibilities were assumed. Mary Saad was at the forefront of delegating and assisting such groups as the phoning committee, goodwill committee, program, recruiting and the rest. The organization of the new Unit was complete within a year. While all the above was going on here, Mary Saad, as District 6 Senator, ran for the office of Director of the STO Provincial Executive. She was elected and then followed steps to become President of STO Provincial Executive in 1991-92. What is now District 43 of RTO/ERO began as an unorganized group of retired teachers, who formed a Unit of District 6. It was Mary Saad who lead the group and shaped and molded it into one of the strongest Units and Districts . Webmaster’s Note: As a recipient of an RTO/ERO Founding Member Award, John Toswell had a strong interest in the our district’s historical roots. Originally retirees of our area became members of one unit of a five unit RTO District 6. District 6 was comprised of Unit 061 Nipissing, Unit 062 East Parry Sound, Unit 063 Muskoka, Unit 064 West Parry Sound and Unit 065 Unite Francaise (a French unit). District 43 RTO was given approval to be a separate district at the Fall Senate 2002. During January 2003, Units 1 and 5, left District 6 RTO and formed District 43, (Unit 1 being Nipissing and Unit 2 Unite Francaise). After two years, January 2005, Unite Francaise formed their own District 44, and this was the beginning of District 43, as we know it today. District 43 is made up of retired members from North Bay, Ontario, and the surrounding areas--Astorville, Callander, Corbeil, Mattawa, Nipissing, Restoule, Sturgeon Falls, and Powassan. North Bay is situated on Lake Nipissing in Northeastern Ontario and is considered to be a tourism, transportation, as well as a mining service industry community. North Bay presently has a population of approximately 52,000. The main education instruction is provided in English and French, ranging from pre-school to university. Canadore College is a college of applied arts and technology, with an enrolment of 3500 full-time students. There are four campuses involved---aviation, technology, commerce, and the education center. The aviation program is one of the best in the country, and the health sciences is proving to be recognized throughout Ontario. Nipissing University is primarily an undergraduate public liberal arts university with approximately 3500 fulltime students and is recognized for providing an individualized student experience due to the small class sizes. Many programs are offered for Indigenous students at both the college and university. Scholarships were awarded by District 43 RTO/ERO to university & college graduates from 2009 to 2014. RTO/ERO’s team approach is also evident in the relationship with organizations like OTF, the Affiliates, Trustee and Administrator Associations, the Canadian Association of Retired Teachers, CARP and last but not least the Ontario Teacher’s Pension Plan. Annual events include executive and general membership meetings on a regular and alternate monthly basis, with the exception of the months of July and August. On the first day of school in September an annual luncheon and the ringing of the bell is held. Day or overnight trips are planned throughout the year and has been operating since the beginning of District 43. Social activities include the visitation and presentation of a gift to any shut-in, whether it be a private home or a care facility, twice a year---Valentine’s and Christmas. Birthday cards are sent monthly to any member age 80 or over, while a Certificate of Recognition is presented to any member attaining the age of 90. Throughout the year when special occasions occur or someone needs a card to cheer them this is also handled by the Goodwill Chair. Members of District 43 Book Club and District 43 ABB (anything but bridge) gather on a regular basis. The main focus for District 43 is to promote RTO/ERO within the community and increase membership. While retired teachers engage in many activities for fun, enrichment and self-fulfillment such as travelling, golf, and card games, many also are productively involved to the benefit of society and contribute to the quality of life locally, nationally and internationally. Volunteerism is undertaken by many members in the field of health care, sports, service clubs, theatre, music and art programs, along with providing for the less fortunate and refurbishing affordable homes. Tutoring adults in literacy and numeracy is also a top priority. District 43 RTO/ERO has provided local and provincial grants involving children, youth, adults and seniors. At the local level support was provided to young mothers and The Infant Food Shelf. Assistance was provided also for the purchasing of books, musical instruments, and aided in instruction costs for the creating of Indigenous drums. Our schools are noted for their success with the regional & world-wide science fair expositions and District 43 RTO/ERO has contributed to this worthy endeavor. District 43 has also reached out to support a family enrichment program and a pilot project, called the ‘elder orphans’. On the provincial funding level District 43 has assisted in a travelling museum exhibit from school to school, a children’s garden at the North Bay Waterfront, an outdoor track at an educational center, and the purchase of computers for self-employment and training. District 43 supported District 44’s Provincial Application to provide funding for our Nipissing Serenity Hospice, which will begin construction in 2018, and these funds were very much appreciated. District 43 was also part of the RTO and World Vison Partnership to Tanzania in 2003. Brenda Robertson represented District 43 and travelled to Tanzania to gather material on the educational system in Tanzania and learn more about the impact of HIV/AIDS on education. Fundraising has been ongoing for the construction of a Resource Centre and a Montessori School. 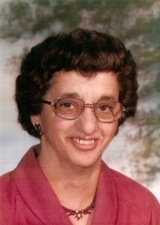 Executive members considered to be worthy of recognition are Mary Saad who was involved in the formative years of the Retired Teachers in the Nipissing area and went on to be the RTO/ERO provincial president. John Toswell was the recipient of an RTO/ERO Founding Member Award in 2004 due to his interest in our district’s historical roots as well as initiating a committee along with Hugh Stickle to look into the formation of District 43. Janet Poudrier was also a founding member and became the first President of District 43. Many District 43 RTO/ERO members have been involved, and some are to this day, at Provincial Office---Paul Brazeau & Janet Poudrier with Political Advocacy; Joyce Boston with RTO Foundation; Chris Cassidy with Membership; and Hugh Stickle with Health. District 43 is proud of their members who possess an open-mind, positive attitude, and a willingness to assist individuals in the work which they have undertaken in the community and elsewhere. District 43 is definitely on the road Forward as our newsletter suggests.